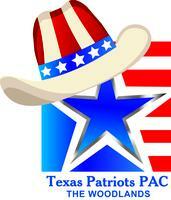 Click Here to for the Texas Patriots PAC Voter Guide. In Montgomery County, virtually all elected positions are determined in the Republican primary. As we did with the Township, Texas Patriots PAC did an extensive review of candidates running in the Texas primary and have selected candidates in each race for support. Click HERE to read why we support that candidate. Candidates were selected based on how well they matched our endorsement criteria. Watch this video to learn more about this process. We put a great deal of discussion, thought, and prayer into these decisions. We chose to make a selection in every race rather than providing no guidance, as we hope that voters will take this ballot into the polls with them and vote for these candidates. Some candidates clearly met our criteria for endorsement in their races; in other races, selecting the candidate to endorse or recommend was much more challenging. Overall, though, we feel that this ballot of candidates moves us closer to having elected representatives who share our core values of Constitutionally Limited Government, Fiscal Responsibility, and use of Free Markets. We welcome your feedback about this ballot and appreciate your support. Bad endorsement in District 3. Cecil Bell is a big government educrat. Bob Bagley isn't running a serious campaign. Troy Bonin is the best candidate in that race, easily.